In the middle of the worst public health crisis of the last two decades, New Mexico has become one of the leading states in deaths caused by drug overdose in the United States. According to the New Mexico’s Indicator-Based Information System (NM-IBIS), in 2015 New Mexico was ranked eighth highest in drug overdose related deaths. In 2007, around 439 people in New Mexico died because of an overdose. In 2015, the number increased significantly to 493 deaths, the NM-IBIS data show. A report from the National Center for Health Statistics states that around 66,000 people died in the U.S. in 2016 due to opioid overdoses, which include prescription pain relievers, heroin and synthetic opioids such as fentanyl. The Centers for Disease Control and Prevention estimates that the total “economic burden” of prescription opioid misuse alone in the United States is $78.5 billion a year, including the costs of healthcare, lost productivity, addiction treatment and criminal justice involvement. On Oct. 26, President Trump declared the opioid crisis a public health emergency. According to the Centers for Disease Control and Prevention, doctors wrote about a quarter of a billion opioid prescriptions in 2013. Not all patients who received the prescriptions will misuse the drug, but people who use opioids can get addicted fairly easily. Opioid addiction does not discriminate based on a person’s age or race. Anyone can get addicted to opioids. 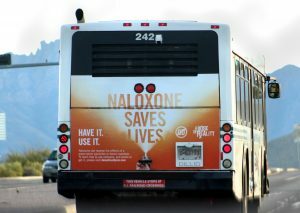 According to the NM-IBIS, the 24–64 age group had the most overdose-related deaths in New Mexico from 2011–2015. Top five counties by number of deaths due to overdose in New Mexico. (Source: County Health Rankings). During that same time period, the NM-IBIS data showed that more white males under the age of 24 died of an overdose-related death than ever before. 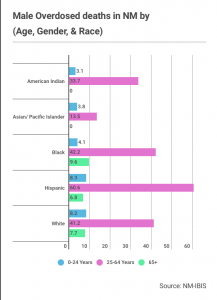 More Hispanic males ages 25–64 died from an overdose than any other race in that age range. In the age group of 65 years and older, more black males died due to an overdose. Among black females under age 24, more died to drug overdose during that same 2011–2015 time period than ever before. More white females ages 25–64 died for the same reason. 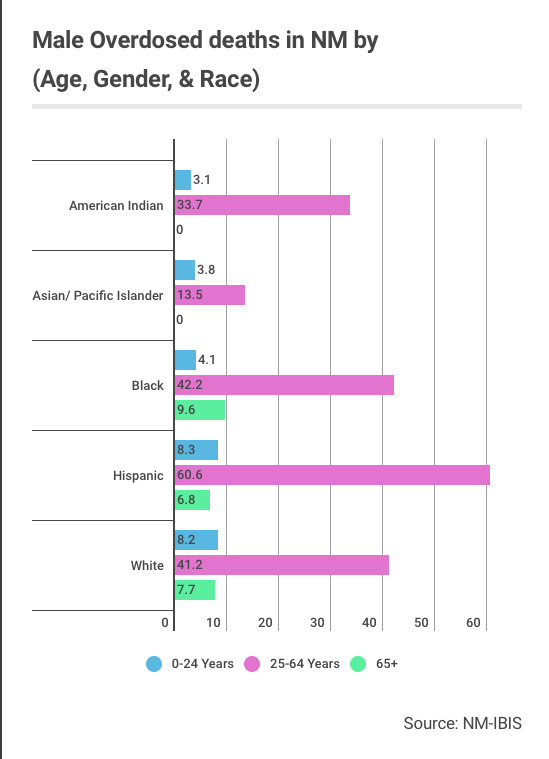 According to the data, white females age 65 years and older are more likely to die of an overdose than women of any other race in that same age category. 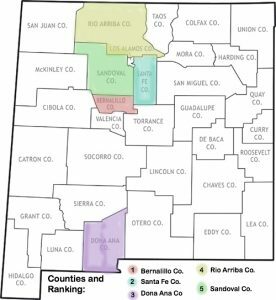 Many counties throughout the state of New Mexico suffer from an opioid epidemic. 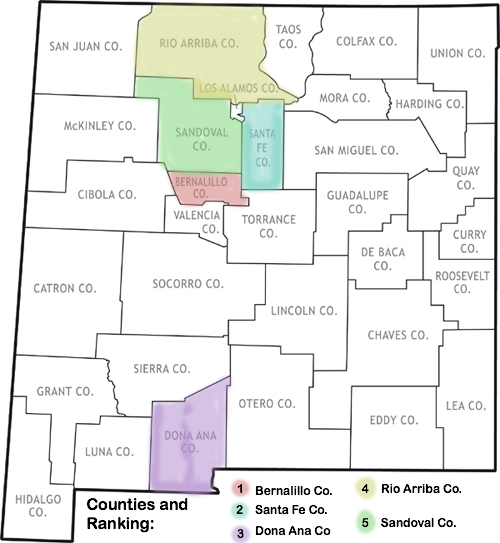 According to the County Health Rankings & Roadmaps, the five counties that have suffered the most from the epidemic are Bernalillo, Santa Fe, Dona Ana, Rio Arriba and Sandoval. Because of the number of overdose deaths in the state, Gov. Susana Martinez signed House Bill 370, a law that requires every police officer in the state to carry Naloxone in their patrol cars. Naloxone is a medication that has the potential to reverse the effects of an overdose. Naloxone also goes by the brand name Narcan. 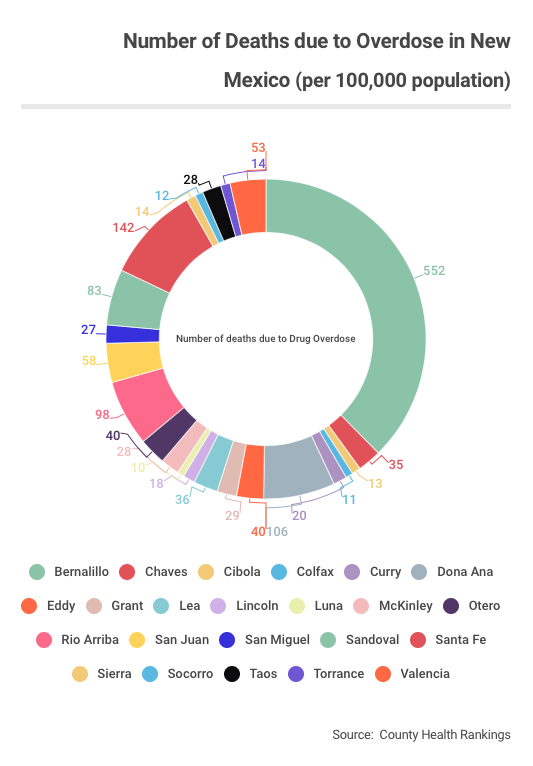 Number of deaths due to Overdose in New Mexico by counties. (Source: County Health Rankings). In Las Cruces, police officers are still getting trained on how to use Naloxone, said Dan Trujillo, LCPD public relations officer. The department would have to cover the cost of Narcan using its own budget. The cost for Narcan has significantly increased since many states are requiring their police officers to carry the medicine. Trujillo also explained that in smaller cities like Truth or Consequences, all police officers carry the overdose reversal drug, but in the Las Cruces area the firefighters are the ones who carry it. There is a reason for that: The fire department is usually first when it is a medical call and the police department is there just to make sure the scene is secure. 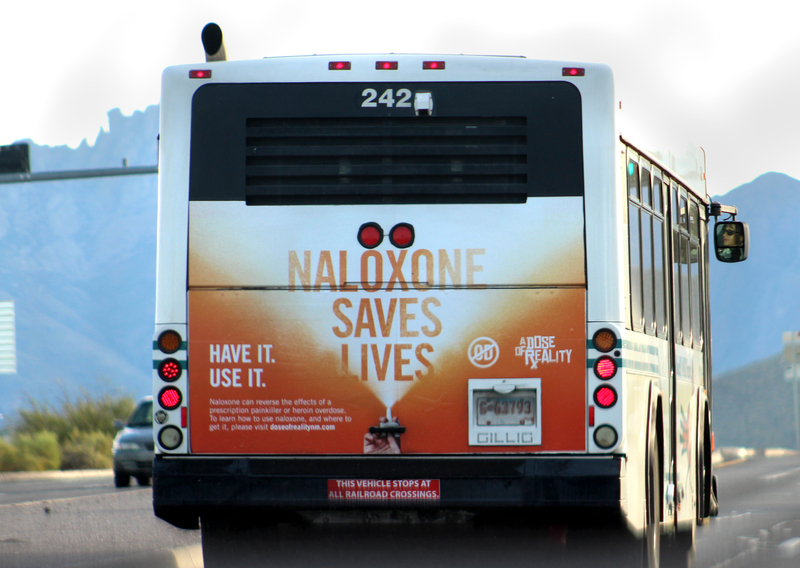 In Las Cruces, several billboards promoting the use of Naloxone can be seen in areas such as West Picacho and Amador. There are also advertisements on Roadrunner Transit buses. According to the Dose of Reality website, the advertisements are funded by the Substance Abuse and Mental Health Services Administrations (SAMHSA).